Jim Utley Foundation presents 2012 Rock the Block! 2012 Rock the Block 10K, 5K & 1 Mile Fun Run! Why: ‘Cause Running is Cool! 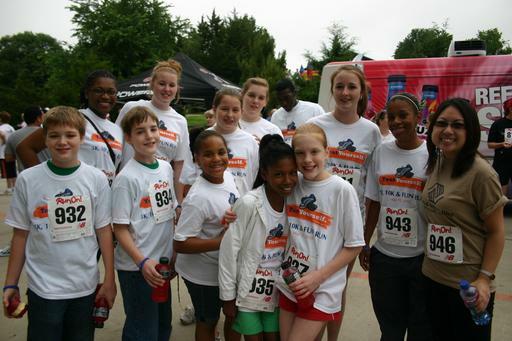 To volunteer for the 2012 run event or another Jim Utley Foundation event this year, email us. The Jim Utley Foundation is a non-profit 501(c)3 dedicated to rewarding youth for choosing to live drug free, getting good grades, doing community service, participating in healthy living, including being active in organized sports and clubs. In addition The Jim Utley Foundation builds overall awareness about dangers of street drugs and helping youth and families through education and programs. Because kids of all ages receive information from so many sources, such as other kids, network and cable TV, the Internet, movies, blogs, and social media sites like Facebook, LinkedIn, MySpace, Twitter, and others; our aim is to inform with accurate and timely information.We are not a treatment facility, nor are we affiliated with one particular method of treatment or facility, and do not make recommendations concerning treatment for addiction. However, we are a valuable resource in educating and informing on a multi-level. We present information so that families can be informed and choose a path that is appropriate for them individually. The Jim Utley Foundation empowers teens and preteens to help them choose drug free lives. We reach them in the most formidable years of their lives, hoping that they will establish a lifetime of healthy habits. Besides drug prevention, we also promote fitness, nutrition, serving the community, education and other healthy lifestyle choices. Our Test Yourself Points-Rewards Program is just another way to help reward youth for keeping busy and out-of trouble. Good Kids = Rewards = Cool Stuff! For more information on The Jim Utley Foundation, visit their website and connect with them on Facebook.